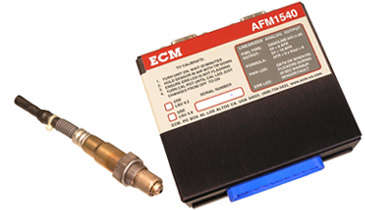 The AFM1540 Lambda Module is a tool for the calibration, monitoring, and closed-loop operation of spark ignition engines. 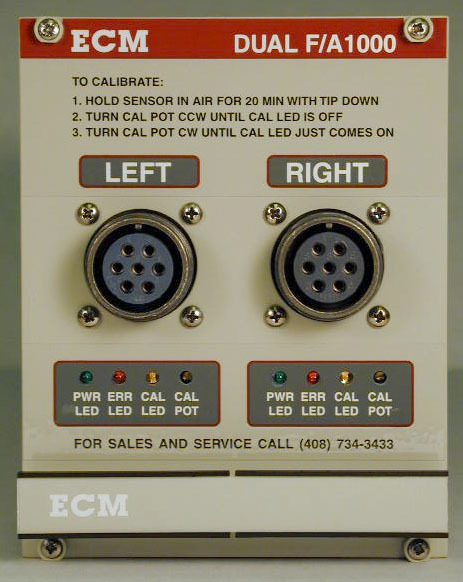 Exceedingly simple to hook-up and operate, the AFM1540 comes complete with sensor, harness, module, SMB cables, operator's manual, software disk, and an exhaust boss and plug. The AFM1540 has both a 0 to 5V analog signal linearized in AFR (and lambda) and a SMB interface. The SMB interface allows serial communication with as many as sixteen AFM1540 modules using a single RS-232 type serial port from a computer and is fully compatible with ETAS INCA software. AFR, FAR, Lambda, %O2, and module status can be read from each module using the SMB interface. The AFM1540 comes standard with a Bosch LSU 4.9 UEGO sensor or optionally can be supplied with a Bosch LSU 4.2 or NTK UEGO sensor. A software program is supplied to reprogram the AFM1540 to use any sensor. The AFM1540 provides unmatched measurement range, accuracy, and speed-of-response in a compact, lightweight package and is an essential tool for any in-vehicle powertrain development program. Harness: 1 m., 3 m., 6 m.